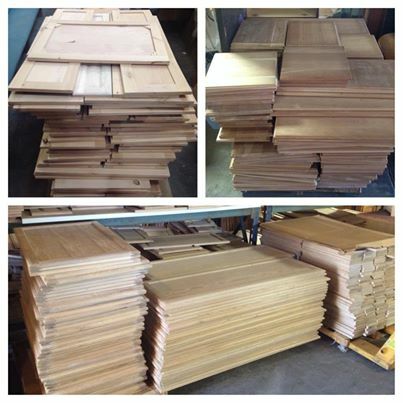 Bud’s Warehouse has always been know for our large selection of NEW cabinet doors and we’ve got more coming in. We always have a wide variety of sizes and wood types – including maple, oak, knotty alder and many more (prices vary by size). Bud’s Warehouse is open to the public. The innovative concept of a home improvement thrift store has become increasingly popular with area homeowners seeking savings of up to 70% on home improvement items while helping others. Beyond cabinet doors, Bud’s has a large selection of tile, marble and granite, doors, kitchen cabinets, appliances, carpet, hardware, light fixtures, windows, bathtubs, sinks, and many other building materials. For more information or to donate tax deductible building materials, call (303) 296-3990. Bud’s Warehouse is open Monday though Friday from 10 a.m. to 5 p.m and 9 a.m. to 5 p.m. on Saturday.